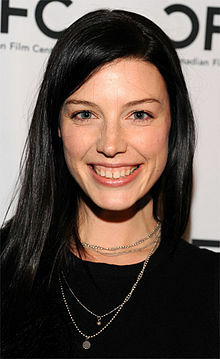 See the gallery for quotes by Jessica Pare. You can to use those 7 images of quotes as a desktop wallpapers. I did play Jesus in 'Godspell,' in high school, because I guess I'm a nerd. I know that I'm a decent actor, but it's another thing to be in a scene with Jon Hamm and hold your own. I'm thinking of putting together an all-star band. I definitely have a bit of a rock fantasy. I have an enormous family because I'm from Montreal and my family's Catholic, so my dad has eight siblings and they all have kids and we all grew up in the same property on weekends and summers. How do you tell your mother that you feel you're getting... old? If I'm... old, then what is she?